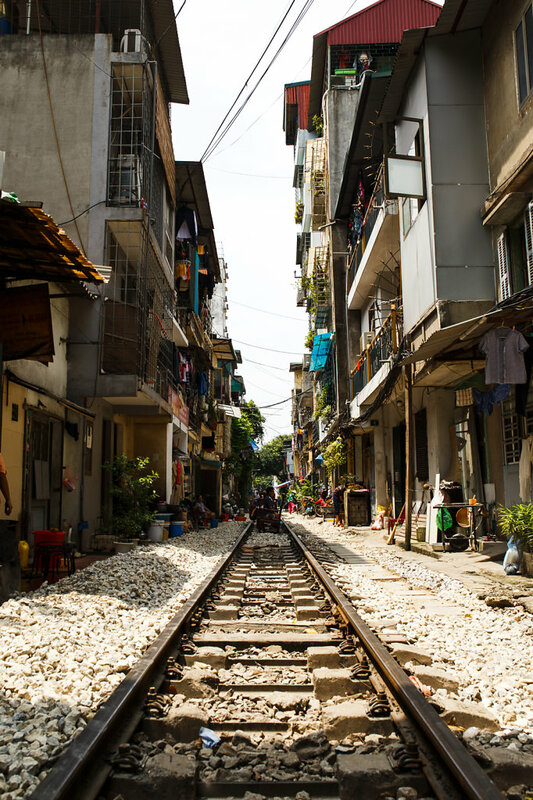 Hanoi is our last stop in Vietnam and because of that we came there with a bit mixed feelings. During the last two weeks we experience so many things, and we weren't yet really ready to leave. We had tried to set up meetings with Couchsurfers beforehand, but due to us only staying in Halong Bay for one day, and therefore being ahead of our schedule, we went out to experience the city on our own. Our hotel was located close to Hoan Kiem Lake, so we headed out and started walking first around the lake, and then towards the Ho Chi Minh Mausoleum and Presidents Palace. We knew that most things wouldn't open later in the day, but we ended up being really really slow anyways, just taking in the city and all the people living in it. We probably spent an hour at the train tracks running through the city, because that is just one of the craziest places we've seen - it is so fundamentally different to Germany.